Mark Shulgan will help the municipal retirement system manage a growth equities platform. Mark Shulgan, a senior portfolio manager for thematic investing at the C$366.6 billion Canada Pension Plan Investment Board (CPPIB), has joined the Ontario Municipal Employees Retirement System (C$95 billion). Shulgan, who worked at the fund for since 2009, is Ontario Municipal’s new managing director, he confirmed via LinkedIn. He started his new job Tuesday. The Canada Pension plan provides retirement income for almost all Canadians (Quebec has a similar program for its residents). 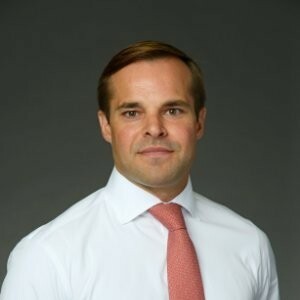 At his new job, Shulgan will help the fund manage a growth equities platform. He will report to John Ruffolo, chief executive of Ontario’s venture arm. “We’re delighted to bring Mark aboard, as we continue our efforts to identify and establish platforms that drive OMERS exposure to new investment themes and platforms,” John Ruffolo told CIO via email. Last month, Shulgan was featured on CIO’s NextGen list, which showcases the brightest up-and-comers in the asset owner industry. He was also on CIO’s 2014 “40 Under 40” list, which NextGen superseded. He started the board’s thematic investing group in 2014, where his team invested in public companies exposed to long-horizon structural growth. He was originally part of the relationship investments team. Prior to the CPPIB, Shulgan was a vice president at Fortress Investment Group and McKenna Gale Capital. He is also a board member of the YMCA of Greater Toronto and is the chair of its investment committee. “I am proud to join OMERS, and I look forward to working with my OPI colleagues and the wider OMERS enterprise to create value for our nearly 500,000 members,” Shulgan told CIO via email.